Learn and play alongside your child in our Early Childhood Education program this spring. Designed for children under the age of five, our ECE program explores the concepts of STEM, tinkering, and creative problem solving through a lens of joyful learning. Help your little one build their self-expression, self-esteem, and self-awareness through thoughtful challenges and imaginative play. In addition to our well-loved favorites, we’ll be adding exciting, new activities to each of our programs. Let's learn and play together. Programs run one day a week, for six weeks. Is the program you are trying to register for sold out? We may be offering other options. Please complete this form, and we will contact you if space becomes available in our ECE Programs. To receive notifications about future programs and dates, please subscribe to our newsletter. One small step for man…one giant step for baby! In Baby Steps to STEM, your baby will be introduced to Science, Technology, Engineering, and Math through hands-on, play-based activities that encourage their curiosity, creativity, and sense of wonder. Alongside their peers, your little ones will develop essential fine-motor skills, hand-eye coordination, and begin learning fundamental STEM concepts by interacting with the world around them. 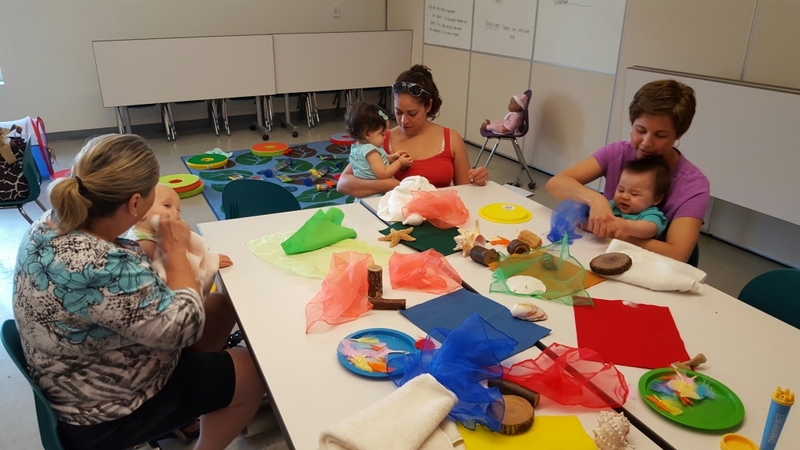 Through the class, families will be equipped to continue teaching their babies STEM concepts through everyday experiences. Looking for more time to tinker? In Tinker Time: Take 2, kids and families will develop tinkering habits of mind such as embracing a good mess, seeing mistakes as gifts, and thinking of everything as an experiment. Families will then be empowered to continue the hands-on learning in their homes, extending beyond the classroom. No matter whether your child has taken Tinker Time before or if they’re first-time tinkerers, Tinker Time: Take 2 is the perfect place for kids to learn, create, and play! Can you help the three little pigs build a stronger house or Goldilocks make a stronger chair? In Once upon a Time Design, kids and families will work together with peers to help their favorite storybook characters solve their problems and find their own happy endings. Solving challenges based on their favorite storybooks, kids will learn to plan, think creatively, problem solve, and work as a team. When you design once upon a time, you build happily ever after!